Our task is to bring rapidly to all areas of industry our expertise and application experience in chemical and biochemical separation for solving chemical identification and quantification problems. Our mission is to meet your timeline for solving problems quickly and economically in your research, your product quality control, and your quality assurance needs. Our founders and engineers have accumulated more than 100 years experience in the research and development of HPLC instrumentation, HPLC column technology, mass spectrometry product installation and troubleshooting, HPLC-MS training and services, and high throughput chemical and biochemical separation, identification and quantification. 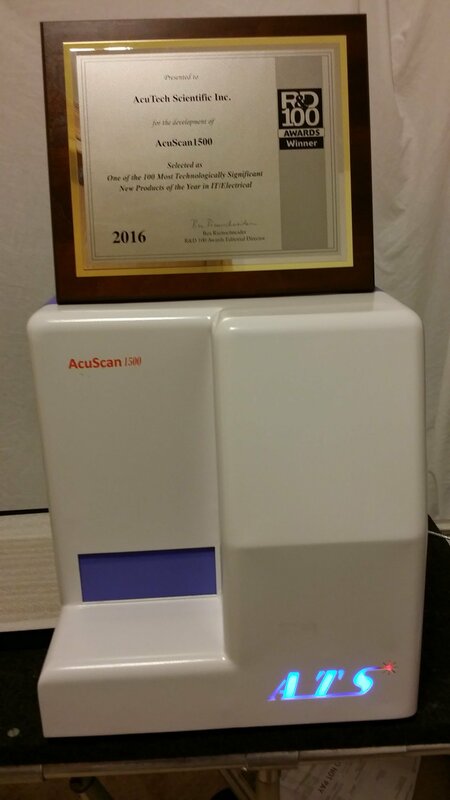 Our breakthrough technology in Raman optical detection and automation has received the 2016 R&D 100 Award to acknowledge our AcuScan®1500 Raman Chemical identification and quantification system as "One of the 100 Most Technologically Significant New Products of the year in IT/Electrical"
Our goal is to become your Supplier and Technical Support Center in solving your separation, identification and quantification needs. Our special focus is on Raman Spectroscopy, protein bio-markers separation, identification and quantification needs in your laboratories. Provide ultra-fast and low operation cost analytical solutions to improve your product quality control and assurance. We can also help with your needs in hardware configuration, method development, instrumentation, integration, and automation problems in chromatography, mass spectrometry, and cancer biomarkers identification and quantification.